PeopleKeep is personalized benefits automation software that makes offering benefits simple, painless, and personal for everyone. "Perfect Insurance Alternative for a Small Growing Business"
I like everything about this service! PeopleKeep saves me (the admin) time by keeping everything on one platform, and they calculate all payouts in advance of payroll. Our HRA payouts literally take me 2 mins to complete. It's customizable for each individual employee whether they are single or with family. PeopleKeep saves me time by allowing my employees to submit expenses on their own. The platform keeps our company HIPPA Compliant and gives employees peace of mind regarding their medical privacy. There are not any negative comments that I can say about PeopleKeep. The one improvement that I would wish for would be a PeopleKeep app so my employees could upload receipts from their phone or while on the go. If you are still trying to decide between a company matched plan or an HRA for your employees, trust me, PeopleKeep will go over every question that you or your employees may have. They will give you peace of mind and save you money. If you have not read up on an HRA plan for your company, do so now! PeopleKeep saves our company money by not having to invest in a company premium plan. It saves my employees money by not having to match a company premium plan they they may or may not be 100% happy with. Did I mention the HRA Reimbursements are Tax free? 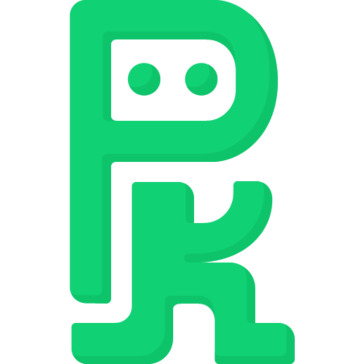 PeopleKeep also gives new and existing employees helpful links and chats if they have any issues finding health insurance on their own. It really is a great all-in-one platform that users or admins can depend on. Thanks for the review, Emily! We're happy that you like PeopleKeep. I'll make sure that your request for a native mobile app gets to our product team. In case you didn't know, I wanted to tell you that PeopleKeep does work on mobile devices through your web browser. You can even use your phone to take pictures of receipts and other documents that way. Thanks again for the feedback, and let us know if you find anything else we could be doing better. My favorite thing about PeopleKeep is how incredibly responsive the support is. The website is very simple to use, but I've had to contact support several times to ask about how my health benefit works (not how the website works) and they are always very quick and thorough when responding. I feel like health insurance is usually such a cumbersome thing to figure out but they've been so helpful in making it simple. I also like how easy it is to submit an expense or request reimbursement for a health plan - I've already changed mine 3 times and it was really no trouble at all. I love doing everything online and not having to mail anything or verify over the phone. I haven't run into any issues yet - I've been using it about a year and a half and it's been very seamless. From a user's perspective - it's an awesome way to administer benefits. I don't know anything about it from the back end, but from the user side it's hard to imagine anything simpler. As a user, it's really streamlined how I utilize my employer provided benefits. Doing it all online makes everything so much easier! Hi Leah! Thank you for taking the time to review PeopleKeep! We’re so glad that our software helps make health insurance simple and that you've had a good experience with our support team. If you do think of anything we could improve on, please don't hesitate to let us know! What Benefits Administration solution do you use? "Amazing Customer Service - Top Notch - Easy to use"
The customer service is excellent. I love the chat feature and utilize it all the time. I ask a question and within minutes my questions are answered. The staff members are pleasant and do not rush you. Peoplekeep is simple and easy to use with the mobile app too! I can upload my medical bills right as I leave the medical office. The app is simple to use and basically guides you through the process by catagories for you to post the medical receipts into for approval. I do not like not knowing which month the reimbursement is actually for. It is not really broken down on the website so you can see it clearly. So, I keep track of it myself with checks and balances. All small companies should consider peoplekeep for their employees. It is simple, easy and reliable. Although it is not insurance, it really does help with monthly costs for medical. I can upload my healthcare reciepts into peoplekeep and within a day or two it is approved, and not go through my employer or ask my employer personal questions about my healthcare and what is approved or not approved. Peoplekeep handles all of these questions so I do not have to deal with my health privacy and my employer. Thanks for the review, Jean! I'm so glad that the process as been simple for you! It’s also great to hear that our mobile site is user friendly. I'll make sure your request for more detail when approving the reimbursements gets to our product team. We'll follow up on this privately. Thanks again for the feedback, and let us know if you find anything else we could be doing better. "People Keep is amazing, I highly recommend! " I like that I can get a receipt for the charges I made, turn it in easily and get reimbursed in a just a few days. Easy to use and their customer service is really fast and helpful at getting back to any questions I may have. They have a chat option to get answers fast. You can sign in from the computer or on your phone's browser. Easy to use in both locations. They don't have an app, but that's okay! I can't say that I have any dislikes. The company I work for has been using PeopleKeep for almost a year now and I haven't had problems that haven't been easily fixed with a quick chat. I can't say enough how easy it is to get reimbursment and how friendly the customer service is. It is easy to use and they answer any questions I need answered. The information they need is pretty straight forward for getting reimbursement. I love using PeopleKeep! We’re so excited to hear that you’re thoroughly enjoying your PeopleKeep health benefit, as well as the service we’ve provided to you thus far. We hope you continue to leave feedback (good or bad) to help us improve our software and services. Thank you. Ease of use. PeopleKeep is incredibly user friendly. Our staff teams loves how easy it is to use and how helpful the website is to navigate. The customer service has been outstanding, from implementation as well as the on going questions that come up. Responsive! There has been nothing I've disliked about it. It provides a huge service for our team and has made it easy on me to implement and manage. I really don't think it could get any simpler to use. Healthcare is a crazy benefit to navigate - PeopleKeep makes it super simple. As a small organization, we wanted to provide our employees with some health benefits that made a real difference in their lives. PeopleKeep helped us provide reimbursement money for their health care expenses. This has created a positive experience for our team and made a real difference in their lives. Thanks for such a positive review, JD! I'm excited to hear your that company has had an easy time using PeopleKeep and that our Customer Support team has been responsive when questions do come up. We're always pleased to know that our users are happy with PeopleKeep. When you do come across something you'd like to see improved, we'd love your feedback! "PeopleKeep is a user-friendly and simple alternative to a regular company insurance plan"
It's easy to search the service in their system and upload a picture of proof, and they'll review it for you. The reimbursement comes right in your paycheck, which is satisfying. I don't feel like I need to worry about getting the health care I need. They're also very personable and reach out to you if there are any issues with the reimbursement. It's hard that you're only covered up to the amount that you've saved up. For example, if I or my husband were in a bad accident, we wouldn't have enough coverage. That's a scary thought. Keep in mind that it's not the same as an insurance plan, exactly. It's not full coverage in any situation, but it does cover commonplace visits to the doctor and other expenses. Because it's so user friendly and straight forward, I don't feel like I have a lot of questions I need to go to my employer to answer. I can handle my issues without feeling like I need to go to them for understanding first. Thank you so much, Erin! Our support team is always happy to see reviews like this. It’s also great to know that PeopleKeep give you peace of mind and takes some of the worry out of health care. I'm glad that you mentioned your allowance accruals. Did you know that you can submit your expense regardless of your available balance and you’ll be reimbursed for that expense each month until it’s paid off? Thank you again for the feedback. Please let us know if you have any other suggestions! PeopleKeep is user friendly, the staff is excellent. It's easy to search, upload a picture of proof, and they'll review it for you. The reimbursement comes right in your paycheck, the staff is polite, professional and always contacts you right away. They're very personable and reach out to you if there are any issues or questions with the reimbursement. I will recommend this product to others. Healthcare is hard enough but PeopleKeep makes it super simple and they are there to walk you through and help you out. PeopleKeep helped provide reimbursement money for health care expenses. Hi Dominic. We love to know that you have had such a great experience so far in PeopleKeep. Thanks for reviewing. I like the ease with which I am able to process claims. My monthly insurance fee is recorded and automatically sent for reimbursement which makes it easy. Also, it is extremely easy to submit one-time claims and they are usually processed in one or two days. It is also easy to see how much I've been reimbursed and how much I have left in my allowance so I know how to allot my expenses and various appointments. The claim classification confused me initially - I don't know how important the "Type of Expense" is but they do not provide descriptions of what would be covered. For example, there is a "Dermatologist" type but I do not know if that covers every reason I may go to a dermatologist or if it's just for a check up or what. I really like this program but I also have fairly low healthcare costs as a single female in my twenties. I think for other users, it would be helpful for a company to explore typical plans and discuss how much to reimburse. I work at a start up company and it does not make sense to have a traditional healthcare program. With this program, they are able to provide a version of coverage for those who need it while not penalizing those who have other means of insurance. While hiring new employees, particularly younger employees, several require healthcare provisions and having a program like this still makes us an attractive fit while still being not your typical insurance. Thanks so much for your honest feedback. It’s really helpful for us to learn that the type of expense portion of submitting your expense has been confusing. I have let our product team know and they will look into this further. Again, thanks so much for your feedback. "Very happy to work with PeopleKeep"
Customer care (better than service) is exceptional. Any question gets answered immediately. And if no resolution is apparent, the agent will work to answer and get back to you within a day...maybe even sooner. PeopleKeep always keeps you in the loop as to what was reimbursed and what you can expect. The website is user friendly once you get the hang of it. The agents are very friendly and courteous, always! I, personally, do not have anything negative to say. Because I work in a very small office, I would have heard if people were not happy and that is NOT the case. Everyone is pleased. If you want to make your life easier, this the company that will help do that! The benefit I realized is that there are great companies out there to use and make a small business able to focus on what they do best...and not HR or Benefits! Hi there! Thank you so much for the kind words. "I thought People Keep was really easy responsive. " I liked that I could just snap a photo of my receipts and in less than two days I was reimbursed for my medical purchases. It was really simple to use and whenever I had questions about how to label a product or service, they contacted me within an hour or so. The only things that I disliked, actually ended up being overages that my company had chosen. I actually didn't have any issues with the program and service. I did think that they should have some leniency on "service date" and "payment date" on the receipts. Most of the time I payed for the service the same day and the company's receipt only used the one date and it was labeled one or the other. I don't think that the company has an app. That might be really beneficial to make one. 10/10 would recommend if you want to use an HRA. I heard it saved the company a lot of money & many employees didn't even use the money in their accounts. 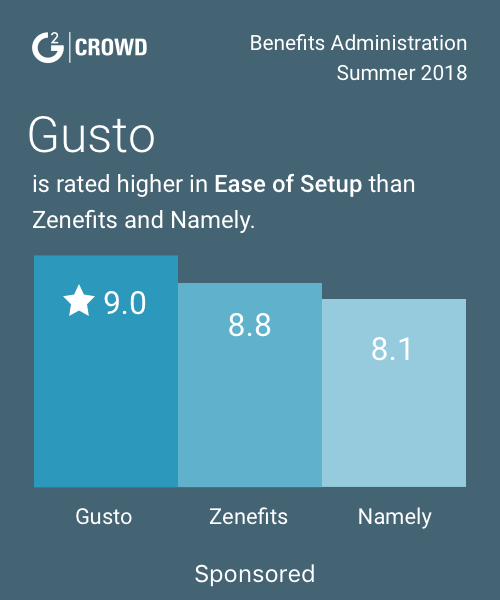 I guess it does more than just employee benefits, but we used Gusto for payroll. I thought that it was a really user friendly way to run a Health Reimbursement Account. "Exactly what an organization of our size needed." PeopleKeep is so simple and easy to use. It was exactly what an organization of our size was looking for. A simple, easy to manage, even easier to use system that allows us to reimbursement health expenses. It keeps us in compliance without worry. Would like for it to keep timecards for our staff. It would be so amazing to have all hr in one easy to use format. It already keeps vacation requests. That's nice. We didn't have the capital to purchase a group plan. PeopleKeep made it possible for a small organization like ours to give its most valuable asset, its people, proper benefits. Hi Andrea. We definitely agree that people are a company's most valuable asset, so it makes me happy to hear you say that. Adding time card tracking to PeopleKeep is a good idea. That is more of a long term goal for us, however, because we are focused on personalized benefits in the near term. Thank you for the feedback. "Responsive & Awesome Customer Service!!!" What I love BEST about PeopleKeep is their response time to questions and inquiries - fast, courteous and to the point. Their customer service is superb as well! Website is user friendly and easy to navigate. Everyone at PeopleKeep is friendly and happy to help with any questions you might have. Reimbursement approval process is very fast as well. Keep up the excellent work PeopleKeep!!! "They are the experts so I don't have to be!" Everything about my experience with PeopleKeep has been great so far. What I like best is how little work the software requires from me to ensure my employees are cared for at a reasonable cost to the organization. It's really difficult to think of something I don't like. Any concerns or frustrations I've had were quickly addressed and resolved by they team at PeopleKeep. The problem of big costs for a small organization as it relates to health care benefits. "So Simple, and Great Service!" PeopleKeep has been so wonderful. We're a small business, and recently decided to use an HSA. As an office manager with only a few years experience, it was valuable for me to find a program that was super easy and intuitive to use, with good customer support for my 5,000 questions. They did just that. They've got amazing customer service, and their site couldn't be easier to use. We especially like the vacation/PTO component that auto-schedules any vacation time to our Google calendar. Home run all around! Honestly don't have one bad thing to say about it. Wish every program was this easy to use. The customer service is fantastic! There's always someone to talk to and they are extremely helpful in helping to resolve problems. Nothing so far, we've had the service for a little over a year. We use people keep to track our employees PTO time as well as host our Health Reimbursement program. We've also recently added company documents and handbooks and will be incorporating PeopleKeep into our on-boarding program. Hi Nick. Thanks for the review. We’re so happy to hear that our customer service has been fantastic! We're happy to have you as a customer. Their customer service. The website is also beautiful and super easy to use. I haven't run into anything I dislike after using them for a year. We are a small company, and maintaining our company's HRA would be a lot for the only HR person we have. I love doing everything through PeopleKeep and not having to bug her all the time. We are a small company and we feel PeopleKeep has allowed us to get a great benefit going for us. The fact we can be able to get our health care needs deducted and managed in a professional way is amazing. It is very easy to use and always communicates with us on time. I would like to connect to our accounting system (Xero) and sync. Hi Miguel. Thanks for the review! Connecting to accounting and payroll systems is on our product roadmap, though I'm not sure of the exact timing on that. When we do add that I'm sure that Xero will be high on the list of systems we will work with. We'll make sure to update you on this going forward. "The best customer service in the business!" Super responsive, friendly, and knowledgeable customer service. Answers every question completely and gets answers fast when they need to get additional info. Once you get hooked up with a rep, they will make sure to follow up and ensure your total satisfaction. I have no cons or dislikes about this company. Health reimbursement plan for my company. "PeopleKeep makes reimbursements simple, efficient, and accurate. " PeopleKeep is very user friendly. The team is very responsive with questions via email or chat, and they always follow up in a timely manner. Since PeopleKeep is user friendly, our company is able to hand over the responsibility to the employee for keeping track of their reimbursements. "User Friendly Program and Excellent Customer Service"
People Keep's expense submission process is very simple and in the event that there are unanswered questions, the site is also full of FAQ's. Customer service is excellent. I've always received a timely and helpful response from them. I've not yet seen any downsides to the health reimbursement plan or the platform. As a non-profit we have a limited number of employees which means that we don't qualify for large group rating plans. It was important for us to find an affordable solution to providing our employee with some type of coverage and the health reimbursement account allows us to provide funds at our budgetary discretion. Speaking as a user (as well as administrator), this has been very meaningful to those employees that are able to participate. "Simple Software with Extraordinary Customer Service"
PeopleKeep has the most amazing customer service! I get responses to questions immediately and the people helping me are so kind. I have no dislikes, honestly this product is heaven sent. It is wonderful, definitely recommend. It tracks my Health Savings Account and keeps record of where my money is going. "PeopleKeep has been a great company to work with"
They are very efficient and the product is easy to use. I would recommend PeopleKeep to anyone who needs to manage an HRA account. I have nothing negative to say. I cannot think of any problems that we have had. We are very satisfied with the product. Uploading the pictures of my receipts is so easy. The Peoplekeep team is always there if you need help and you usually get an email verifying your expense within 24 hours. My recurring expenses are saved and I am reimbursed without having to add them each month. It’s a snap! Sometimes I have a hard time trying to ascertain whether my expense is allowed or not. For example; over the counter drugs. It keeps employees happy and provides a service not covered by regular health insurance. "Great service, easy to navigate site"
The quick customer service response time and friendliness of the employees. I have had no problems with PeopleKeep thus far. The Dashboard is very easy to use and the Customer Service is to be commended. Ease of use for employees to set up health reimbursements. PeopleKeep is so easy to use and they verify reimbursements very quickly! I have contacted them a couple of times with questions and they are very helpful and responsive. There is nothing I dislike about PeopleKeep. I can't imagine threre is another optionn that is more user-friendly than PeopleKeep. It has been a very easy way for the company I work for to manage reimbursements. Our staff loves it since it is so user-friendly! "PeopleKeep is easy to use"
We are able to provide health reimbursements quickly, making our employees happy. There is nothing that I dislike. The set up was easy, and our employees really appreciate it. Definitely check them out. They are very helpful, responsive, and not pushy at all. We could not find affordable health insurance, and our HRA meets our employee's needs at a cost we can afford. It's easy to use and set up and requires minimal ongoing effort to maintain on my part. Providing additional benefits to my employees (i.e., Small Business Health Reimbursement Arrangement - HSA). "Great addition to our office systems"
Hi Dawn. Thanks for leaving a review! We always get a boost from positive reviews like this. I'm glad you mentioned time off requests because we know we need to improve there. We are planning a closed beta with advanced time off features in the next few weeks. It sounds like you'd have some valuable feedback there, so I'll reach out to you privately to see if you'd like to participate in that. Thanks for the feedback, and let us know if you think of other ways we can improve. "A Great Benefit ..especially when as an employer, you can't afford Health Insurance!" The customer care from PeopleKeep is what I like the best. My questions are answered quickly and professionally. There is almost always someone available to help me with questions. I honestly connot think of anything I dislike about PeopleKeep! Give PeopleKeep a 'Go'. You will be glad you did. Our business is growing, but we are not at the place yet to be able to afford health insurance coverage for our staff. PeopleKeep is a wonderful way to show your staff that you care. Our staff is thrilled to be able to reimburse for approved health related expenses. "Not a bad thing to say! " I have really enjoyed the simplicity of the way reimbursements work and how quick their customer service gets back to you. I would highly recommend this for your company. It has been a simple way for us to help them. There is a lot of information on the website to help you figure out if something can be reimbursed and then you upload a picture and information and they reimburse you. Any questions we have had they will respond quickly to. "Sensible solutions for small business"
I am an HR consultant and we love working with this software and our client to get an affordable benefit out to our clients. It helps them attract talent and it helps us continue to be a great resource for them. Can't think of anything. It's easy to set up and easy to use! Very easy to set up and I can quickly add receipts and claims for my employer to review. Also tracks info so you know where you stand. Has not been any issues with program. I easily use it weekly and have received my funds from my employer. Tracks employee medical benefits so my company can easily reimburse me! PeopleKeep starts out on a great foot with a clean, user-friendly layout. It's like walking in to a kitchen with the drawers rightly assigned or familiar- you find helpful content in the right place and its not overwhelming. Add to that great customer service, its a keeper. I really can't think of a thing, I'm a content PeopleKeep user. PeopleKeep connects me to my benefits with a smooth verification process. I know what I can medically get reimbursed for, what stage the validation is, and any remaining balance. "People Keep - Fast Response"
The quick response we get when submitting reimbursements and the ability to contact someone to make any corrections. I can't think of anything that I don't like. Check it out - you'll love it! Alot of Human Resource staff time is saved! Employees are handling their own health benefits. I like how easy it was to get everything setup using the customer portal. PeopleKeep helps us stay compliant as we offer a flexible and affordable healthcare benefit for our employees. There is nothing to dislike. Product is great. Providing an affordable healthcare benefit. It can be used by me or my family member for most of the medical services. Sometimes you need to upload your expense receipt more than once but it is not a big problem. "We implimented a healthcare reimbursement through PeopleKeep, was easy and simple, they are a pleasu"
Thanks, Jan! I'm glad you're happy with PeopleKeep. We do like chat around here, but I know that different people like to communicate in different ways so I'll make sure you get our phone number. If you have any other feedback for us, please let us know. "Perfect healthcare solution for small companies"
The PeopleKeep SBHRA tool is very intuitive for both the employee end users as well as administrators. Their customer service is second to none. I love the formality of the service set up. This makes my health benefit reimbursements a breeze and takes much less of my time. I also like the separation between our employees and their personal information. Maybe email when a benefit is approved and at payroll. Being able to offer health insurance and keep it within our own desired cost. "User Friendly & Prompt Customer Support"
The layout is clean and functional. I can find what I need in a couple of clicks. I wish that there was an accompanying app. Great option for small companies wanting to provide benefits to employees. Employees are able to manage benefits in their own saving HR employees time and when there are issues the chat function is prompt and very helpful. Thanks for the review! I'm glad to hear that you like PeopleKeep. fast turn around time when submitting for reimbursment. i do not have any negative feedback at this moment. "Great Tool for Small Business "
People Keep helps me support and manage my company's HRA program for the staff. The cost is very reasonalbe. Would like the monthly reminder to come out a little earlier. Keeping track and managing my employees HRA requests. "Simple to use and helpful service :)"
Any question I had they responded quickly and always followed up with me. Nothing really. Very easy to use and easy people to reach out to! Overall range of services to meet needs of different employees. * We monitor all PeopleKeep reviews to prevent fraudulent reviews and keep review quality high. We do not post reviews by company employees or direct competitors. Validated reviews require the user to submit a screenshot of the product containing their user ID, in order to verify a user is an actual user of the product. Hi there! Are you looking to implement a solution like PeopleKeep?